When you are in a romantic relationship, any moment is ideal for you to express your love to your partner, however it is likely that you are always waiting for those times that have a deep meaning to do something very special for that person who has won over your heart. Perhaps the preferred date by lovers to pamper their partners is the day on their birthdays, and that is no wonder as this day is meant to celebrate the arrival of that special person who gives you their love into the world. Prepare a beautiful surprise well in advance as well as a gift and she will love it, you can also invite her for a walk, a romantic dinner, to the movies or prepare a surprise party and finally, some heartfelt words of congratulations on her birthday that at the same time make her feel all your love. 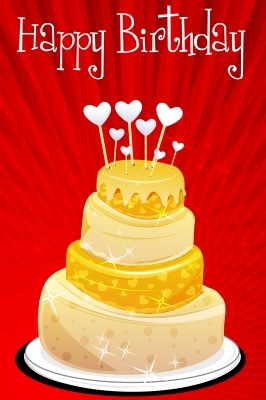 In this section we bring you some happy birthday quotes for you to dedicate to your partner, whether on a card, through your Facebook wall or directly when you go to congratulate her. All these phrases are special to compliment your partner on this special day with a romantic touch that they will surely love. If you liked this page you can help us by giving us a “like” on facebook, G+, twitter. Also if you want you can help this website by sending your birthday texts for a girlfriend, and will be published, others friends will thank you .